Why wait until the end of your tenancy to have a big clean-up? Instead, if you have a spring clean now, then regularly throughout your tenancy, you won’t be to left with a massive job to get the property up to scratch when you decide to leave. Plus, your home will be a generally more enjoyable place to live! It is useful to have a checklist during your spring clean, so you can tick things off as you work your way through your rooms. There might be a lot on your list, however you will find you can get some of these tasks done pretty quickly. For a good spring clean, you will need to be kitted up with some essential cleaning supplies. According to lifestyle expert, Martha Stewart, the essential cleaning supplies for spring cleaning include; all purpose cleaner, multipurpose powder, rubber gloves, dishwashing liquid and glass and surface cleaner. It’s easy to pile unwanted items so why not take this opportunity to make some space and clear out what you don’t need. There are a few ways you could get rid of unwanted items. You can donate clothes and home accessories to your local charity shop, give them to friends and family or make yourself some extra cash by holding a car boot sale – or selling your items on the internet. Properties tend to go really quick during summer, so if you really like it, secure it fast. Chances are someone else shares your great taste and will like the same property. It only takes one extra person to create a competition, therefore always looking for something better can turn into a big mistake. Not having your references ready can really delay the process of your moving into the property. Therefore, you should prepare to have a work reference confirming your employment and a previous landlord’s reference ready when requested for them. Landlord references will confirm if you have paid your rent on time. If you have a bank reference or three months relevant bank statements ready, that can also put you at a significant advantage. Most tenancy agreements will follow a similar format and should be relatively easy to read. Tenancy agreements and other related documents should be a complete priority, as the agreement will need to be signed before you move in. The longer you leave it the higher the chance of losing the property to someone else. You will also need to start thinking how and when you can pay, therefore have the funds ready. According to the Residential Landlords Association (RLA), the government’s Tenant Fees Bill now introduced to the Commons is a ‘missed opportunity’ to make quicker and more lasting improvements in the rental market. As part of reform of the private rental sector, The Bill means that tenants are now one step closer to seeing letting fees banned. However, RLA argues that changes should have been made to better enforce existing regulations designed to improve transparency around letting agent fees. The law has compelled letting agents to publish details of the fees they charge since May 2015. Agents breaking this law can be fined up to £5,000. However, 93% of councils had failed to issue a single financial penalty to a letting agent for breaching the law, according to data published last year by the National Approved Letting Scheme. There are now concerns that the fees ban will simply shift the cost of all the letting agent fees on to the landlords, and if that were to happen, it would leave most landlords with no choice but to further increase rents, as letting agents look to pass existing tenant fees onto landlords. “With warnings that the policy could lead to rent rises, there is a very real danger that whilst cutting the upfront costs of renting, tenants will find themselves paying them through higher rents on a permanent basis,” said the RLA’s policy director, David Smith. The RLA is calling for immediate action to better enforce the law as it currently stands, including the government using powers it has so far failed to use to force agents to display the fees they charge in more prominent positions and specify them in much greater detail. In many countries such as the US, Germany and France, purpose-built blocks of rental homes are commonly found. In Britain they are a relatively new phenomenon, but are fast becoming a hot investment for property developers and city firms such as Legal & General, which are eager to tap into the rising trend for long-term renting. The sector is expanding throughout England, with 80,855 Build to Rent homes either completed or planned, according to recent official figures. Quintain’s Wembley Park development, which will include 5,000 purpose-built rental homes, is the biggest build-to-rent project in the UK, worth £3bn. The 85-acre site is due to be completed in 2025-26, about 15,000 people are expected to be living and working on the site. Currently, more than 1,300 homes have already been built and a further 3,000 are under construction. The tallest tower will be 26 storeys, but not high enough to look into the stadium. Most of the planned 63 new buildings will have roof gardens, office buildings, a primary school, a theatre, health facilities and a park the size of four football pitches is planned. The rent will include utility bills and ultra-fast broadband. Communal lounge areas adjacent to the entrance come with kitchenettes and Sky TV; there is a residents’ gym and screening room and a concierge is on hand 24 hours a day to deal with deliveries and emergencies. Quintain however does admit that many tenants will be “paying a premium for the lifestyle,” but it says 32% of the planned homes at Wembley Park will be affordable. This is a higher proportion than seen at many other London developments, and just below the 35% target set by the city’s mayor, Sadiq Khan - down from his election promise of 50%. The borough, Brent, is one of London’s poorest but nearly 40% of the affordable Wembley Park homes will be let at a discount (in comparison to market rents), with the maximum rent set at 65% to 80% of market value. A further 28% will be at an affordable rent and 33% are earmarked for shared ownership and discount sales. Brent supports the mayor in seeking a minimum of 35% affordable housing on all new developments. It delivered 30% in the three years to 2015-16, above the 24% London average, according to a council spokeswoman. “We expect to see Quintain construct 3,000 new homes by the end of the year. This can only help to tackle the dire housing situation in London,” she said. 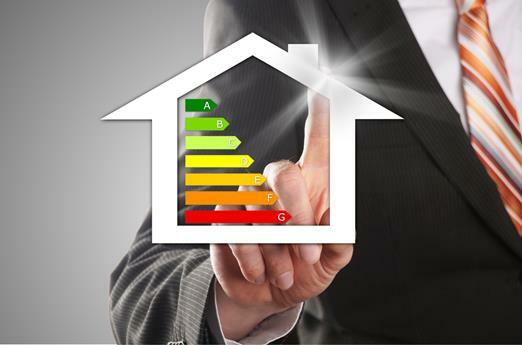 As of 1st April 2018 it will be a requirement for any properties rented out in the private rental sector to have a minimum energy performance rating of E according to the Energy Performance Certificate (EPC) associated with that property. The regulations will come into force for new lets and renewals of tenancies with effect from 1st April 2018 and for all existing tenancies on 1st April 2020. This regulation has been put in place to ensure that those tenants who most need energy-efficient homes are able to enjoy a much better standard of living and lower energy bills. Although newly built homes in the private rental sector tend to have higher energy-efficiency ratings than the average, there remains a stock of older, period properties, many of which have poor energy efficiency and are difficult and costly to heat. These less efficient properties result in higher tenant energy bills and, for many, an increased likelihood of living in fuel poverty. While tenants will benefit in terms of their reduced energy bills or through increased warmth comfort and the associated health benefits, energy efficiency improvements also benefit landlords. When the Regulations were designed, a number of landlord associations identified a range of benefits for landlords including: increased tenant satisfaction and reduced void periods, reduced long-term property maintenance costs, and improved desirability of their properties. Indeed, a report by Sustainable Homes in 2016 on social housing demonstrated that improving the energy efficiency of rental housing reduced both rent arrears and voids. Recent data has also shown that increasing a property’s energy efficiency may increase the market value. With these quantifiable benefits to hand, landlords should see the new regulations as an opportunity to maximise rental value and return on their properties, and tenants should in turn enjoy lower energy bills as a result of their implementation. The city of London is now offering new opportunities when it comes to house buying, with almost 65,000 affordable new homes planned to be built in the capital per year. Sadiq Khan, the Mayor of London, has a draft London Plan, which means that the London property map will be significantly changed. Due to high prices in parts of central and inner London, young buyers have had to look at other areas if they want to invest in property. Parts of London that would not normally be top of a property shopping list are being revitalised with a series of regeneration projects and transportation upgrades, which is creating brand new hotspots and opportunities that are hard to ignore. The Mayor’s plan has set out targets for each borough in the city as well as identifying ‘Opportunity Areas’ in which large amounts of investment are being directed. These ‘Opportunity Areas’ are priority zones where development and regeneration are to be progressed. There are as many as 30 areas designated for this attention, and the process has already begun in Stratford and Nine Elms. It now seems that Charlton Riverside, Colindale, Cricklewood, Harrow, Kensal Canalside, Catford, New Cross, Ilford, Southall, Park Royal, Woolwich, Thamesmead and Abbey Wood are next in line for a period of regeneration. Buying a property in London has never been easy, but moving away from the typically popular areas to these up and coming hotspots could prove to be a profitable investment. The average rental values for existing homes in Prime Central London have been falling for more than two years due to rising supply but the pattern is now due to reverse. There was a large spike in new lettings properties in the middle of 2017, which followed the introduction of the additional rate of stamp duty in April 2016, one of the reasons behind the increase. 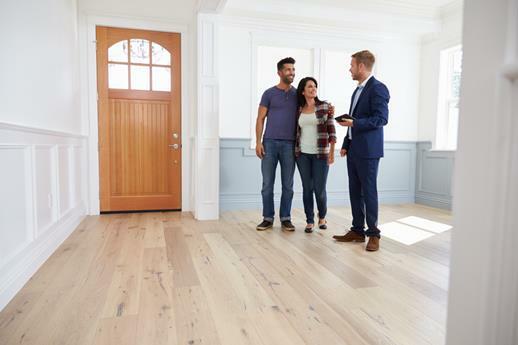 The other key factor has been a growing number of ‘accidental landlords’, a group of would-be vendors who are waiting for more pricing certainty before they return to the sales market. 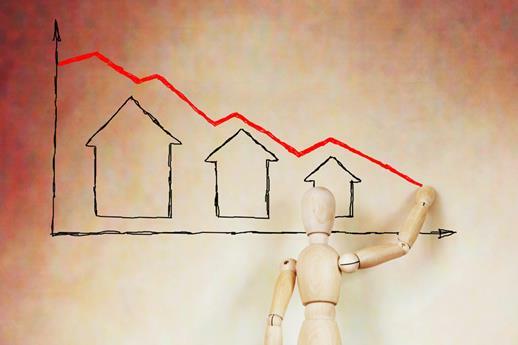 The rate of new lettings properties coming onto the market has slowed. In 2017, November was the first month to reflect a decline in the number of new lettings properties placed on the market, with a fall in instructions of 1.2%. There was also greater demand than in 2016. Both factors combined will strengthen rental value growth. From January to November 2017 there was a 19% rise in viewings in comparison to 2016. The number of tenancies agreed also rose by 14% over the same period, whilst on average 17% more new potential tenants registered with PCL agents. In a world of low returns, the Prime Central London lettings market became a comparatively more attractive asset class in 2017 from an investors view. Currently, the average gross yield in prime central London is 3.2%, higher than the risk-free rate of a 10-year UK government bond, which was yielding approximately 1.2% in mid December. The stretch between the two is high by historic standards; this trend is likely to continue with bottoming out sales values which will boost total returns. There is no immediate likelihood of a rate rise, despite the fact that UK inflation rose to 3.1% in December. Subject to the usual requirements, the Bank of England expects the base rate to be 1% in 2020, which is still low by historical standards. 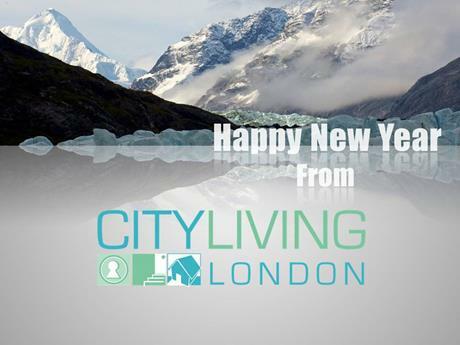 Happy New Year from the team here at City Living London! City Living London will be closed from Saturday the 23rd of December 2017 until Tuesday 2nd January 2018. We do ask that if you need to call out Danny, Veritas or Hadi that you also email us on maintenance@citylivinglondon.co.uk leaving details of the matter. For any other matters please email your enquiries over to info@citylivinglondon.co.uk. Please note that whilst the office is closed we will be monitoring our emails and any non urgent issues will be dealt with promptly when the office reopens on the 2nd of January 2018. As per your contract, no check outs will be conducted between the 15th of December 2017 and the 15th of January 2018. Please note that if you are a tenant serving notice to vacate, it will not be deemed accepted unless and until you resend your notice to leases@citylivinglondon.co.uk and receipt is acknowledged by City Living London. In the meantime, may we wish you a very Merry Christmas and a Happy New Year! * Please note that if Veritas, Danny Henderson or our handyman is called out to a non-emergency, the cost of this call out will be invoiced to the tenant in question. For the avoidance of doubt, an emergency is classified as a situation that poses an immediate risk to health, life, property or environment. ** A call out charge of £125 will apply for lock outs and the handyman will be unable to supply new keys or locks during this time. 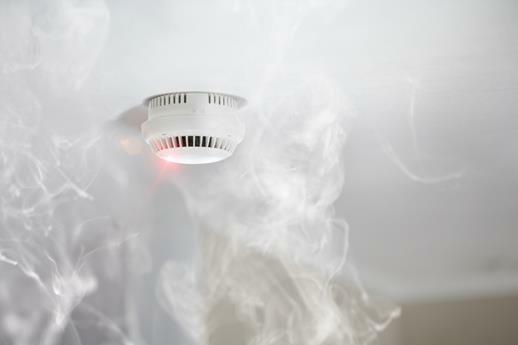 The government is currently in the process of reviewing the effectiveness of the Smoke and Carbon Monoxide Alarm (England) Regulations 2015. This will have an impact on all private landlords and tenants, so we invite you to offer your views on the matter. The Smoke and Carbon Monoxide Alarm (England) Regulations 2015 came into force on the 1st of October 2015. They require private rented sector landlords to install at least one smoke alarm on every storey of their properties and a carbon monoxide alarm in any room containing a solid fuel burning appliance (e.g. a coal fire or a wood burning stove). The landlord is also obliged to ensure the alarms are in working order at the start of each new tenancy, whilst the tenant is responsible for ensuring that they remain in working order throughout their stay in the property. During the passage of the regulations through Parliament in 2015, ministers made a commitment to review them in 2017. Although the consultation does not indicate any intention to change the existing regulation, it could yet form part of the post-Grenfell Tower building regulations review. The consultation invites views and comments to gather evidence on the effectiveness of the regulations to date and we invite you to offer your own, along with any experiences you may have had, either directly via the consultation or to us as your managing agent. You have until 9th January 2018 to respond with your views and we would love to hear from you! Fair wear and tear has always been a grey area for landlords and letting agents alike. Because it tends to fluctuate from case to case, it is one of the least understood areas of the letting process; one which can create much ambiguity and lead to disputes at the end of a tenancy. On the other hand poor cleanliness and any damage which leaves the property markedly different from the property’s original state is far easier to identify if there is an Inventory and Schedule of Condition in place, enabling the landlord to use the tenant’s deposit to compensate. As a result, No Letting Go is supporting the Association of Independent Inventory Clerks (AIIC) petition demanding mandatory independent Inventories for all private residential tenancies. 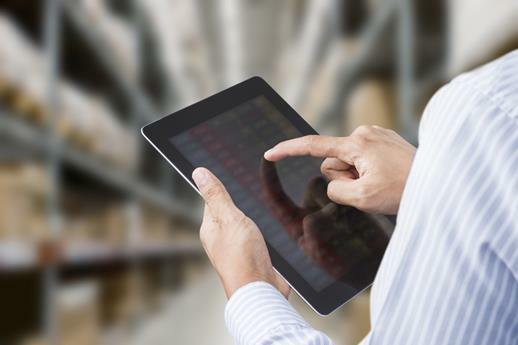 No Letting Go, a major provider of inventory and compliance services to the letting industry, also wants to see compulsory Inventories combined with compliance reporting. According to No Letting Go CEO, Nick Lyons, a detailed and precise Inventory completed at the start of the tenancy, and a corresponding report when the tenancy ends, acts as one of the most decisive documents in evidencing the landlord’s obligations under the existing fire safety legislation. No Letting Go wants the government to go further in also requiring the report to evidence compliance with the Smoke and Carbon Monoxide Alarm Regulations 2015 and the Fire and Furnishing Safety Regulations 1988. The company believes this will greatly improve standards, will support the industry and will help the government manage the ever-growing safety requirements of landlords. Lyons said: “Independent inventory providers have a duty of care to protect the interests of both landlords and tenants alike. The government has introduced legislation to protect tenants but with no real effective means to monitor it. The Right to Rent Scheme, which was rolled out across England last year, places the onus on landlords, or lettings agents acting on their behalf, to verify whether tenants have the right to reside in the UK by ensuring that they see original copies of identification documentation and approving photocopies of such documentation accordingly. 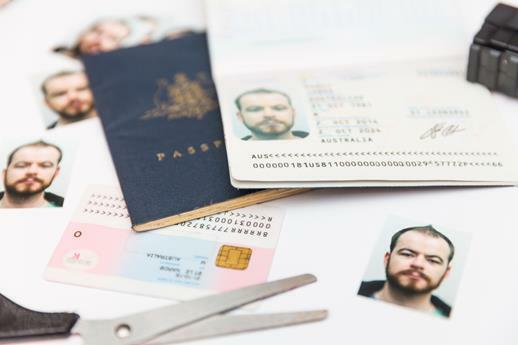 However, there is a growing concern that the rule has fuelled discrimination against British Citizens who have no passports, as well as foreigners, leaving them at a disadvantage in the private rental market. A new BBC investigation has found that many letting agents and landlords are unable to identify a fake passport when presented with one, leaving them vulnerable to fraudsters. The research reveals that criminal gangs are using fake IDs that are impossible to identify with the naked eye. An undercover reporter for BBC Inside Out London was able to purchase counterfeit passports, as well as National Insurance cards and residence permits, from illegal dealers across London. With the use of a secret camera the reporter recorded the deals, with fraudsters charging up to £500 for a fake passport. The fake IDs were then presented to letting agents, who accepted them without question as proof of UK residency status. Akhbar (not his real name) told Inside Out: “In an average week they were selling between six to 10 fake residence permits or passports. In the last few months or so I would say they got even busier.” Home Office figures show 170 fines have been issued to landlords under Right to Rent rules since October 2016. But a Home Affairs spokesperson told the BBC that landlords and letting agents were not expected to be experts in spotting forged documents. David Smith of Anthony Gold Solicitors, who specialises in landlord and tenant law, expressed his concern. “They do not have the knowledge or skills to do the job properly. I've never met a landlord who can tell a valid Liechtenstein passport from a forgery,” he told the BBC. 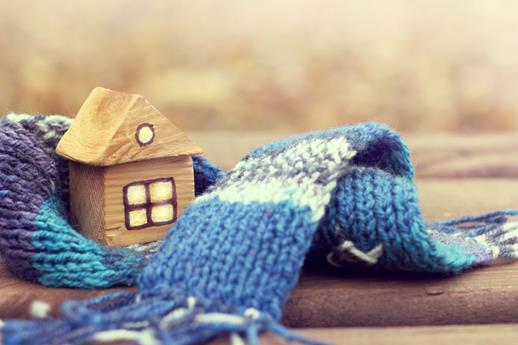 As the weather gets colder and the rain sets in, here are a few helpful tips to make sure your home stays in good condition, even if you're away! 1. Set the timer on your heater so that you can make the most of the warmth when you're in, yet save the pennies when nobody’s home. 2. Open the window or the door a little (obviously not the main one to your flat) so that you ventilate your flat at night, this will help to reduce condensation and subsequent damp when your heating is on. 3. Unplug electric blankets before going to bed, unless they have thermostat and timer controls. 4. Look out for leaks, it’s that time of year when boilers are under pressure and the persistent rain takes its toll on the buildings. 5. If you are a current tenant of City Living London, please notify us if you will be away from your flat for more than 14 days. Ideally the temperature in your living space should be at 21°C, 18°C for the rest of your home and hot water is best at around 60°C. Also be mindful that the clocks go back on Sunday 29th October, so yippee for the extra hour in bed but this does mean you should check any timers or clocks to make sure they are correct! 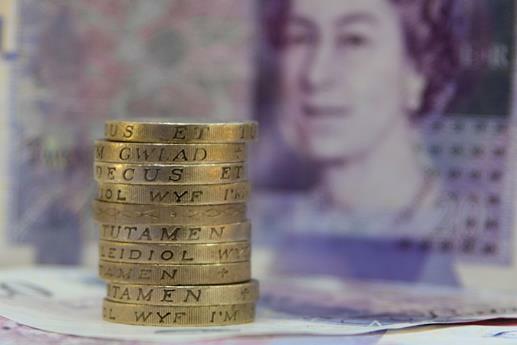 Private tenants who pay their rent on time should see their credit rating boosted in order to make it easier for them to gain a foot on the housing ladder. That is the advice being given following a survey of almost 3,000 buy-to-let landlords carried out by the Residential Landlords Association (RLA), which found that 61% of landlords would support such a move. Credit rating agencies do not currently routinely include rental payment history when calculating credit scores. This means a tenant can find it difficult to access a mortgage, even if they have a long history of rent being paid in full and on time. The RLA believes that including rental payment history in this way will also allow landlords to make a more accurate assessment of a prospective tenant’s suitability, and are subsequently calling on the government to work with the industry and recommend that it is included as a standard feature when calculating credit scores. Going to university can be a stressful time without the added confusion of having to sort out your living arrangements. Choosing your accommodation will be one of the most important decisions you’ll make before you start your course. Whether it’s university-managed halls, a student development, private accommodation or staying at home; there really are an abundance of choices available. 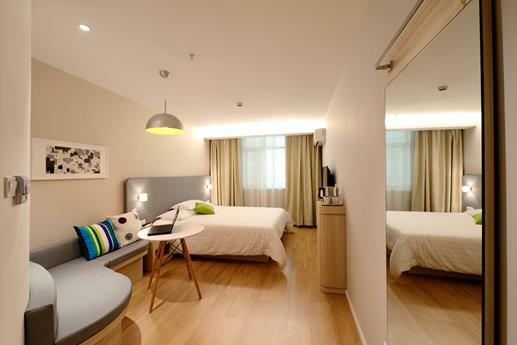 Here at City Living London, we provide affordable private accommodation that is fully managed in house. For years private renting has been the most popular form of student accommodation, allowing you to live independently, without supervision, for the first time. Living in private accommodation also benefits you for the future, giving you key experience of renting and buying in the UK. It gives valuable real life experience with budgeting, contractual and practical responsibilities, and in learning how to manage your own space. Whether you’re new to London and living independently, or a mature student with a clear idea of what you want, private rental may be best for you. We currently have an extensive list of available student properties, and with summer drawing closer there will be a rush to rent the biggest and best accommodation over the coming weeks. To avoid disappointment we advise securing your accommodation as early as possible. 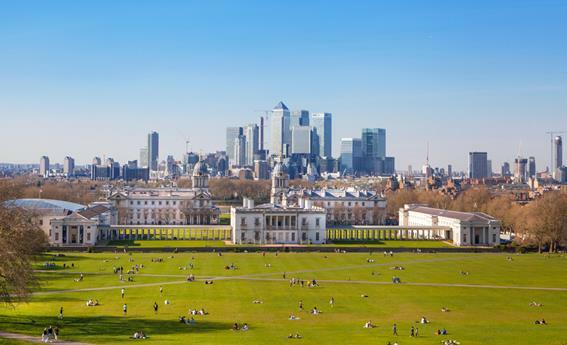 City Living London currently manages over 360 properties across London, in areas such as Kensington, Bayswater, Marylebone, Notting Hill, Victoria, Pimlico, Earls Court, Paddington, Kilburn and Maida Vale. If you are looking for accommodation in these areas, contact us now on 0207 351 6100 and speak to one of our team to arrange a viewing. 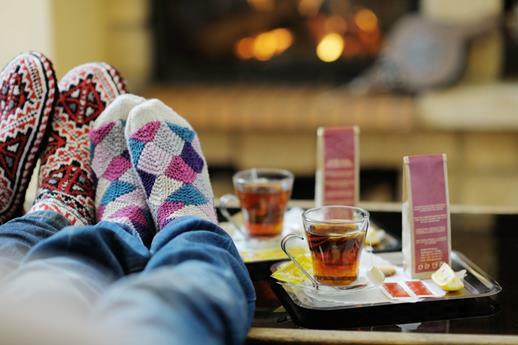 Have a stress free holiday with these useful home tips from City Living London! 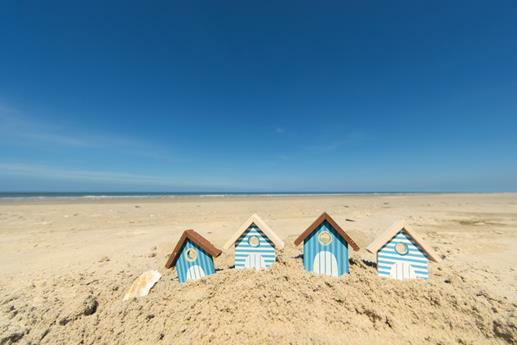 This summer many of you will be thinking of jetting away for a period of stress free fun, so we have created a list of top tips for while you are away and to prevent you coming back to something unexpected! 1. First of all, please drop us an email at info@citylivinglondon.co.uk if you are away on a summer vacation for longer than 2 weeks. Please confirm that you are happy for us to access in the event of an emergency or maintenance issue, so we don't need to bother you. 2. Contact Royal Mail to let them know you will not be at your property for a while and they will retain your mail during the period of your vacation. 3. Try cleaning your fridge and even defrosting your freezer before you go on holiday. This will prevent you from coming back to any rotting food or bad smells in your property. By turning your fridge and freezer off you could also save money, but do remember to put some towels below the freezer to soak up any water, and leave the door ajar to prevent the fridge/freezer smelling. 4. It might seem obvious but do empty your rubbish bins the day you leave to avoid attracting unwanted pests. 5. Turn off the heating, where possible, and switch off any other items to ensure you don’t return to unnecessary energy bills. 6. If you have any indoor plants, depending on the duration of your trip ensure you have watered them before you leave, you do not want to return to wilted or even dead plants! 7. Do not leave any spare keys under your mats or in any of the communal areas for security reasons. If you plan to leave a spare set with a friend or family member during your holiday please let us know their name and contact details. 8. Most importantly make sure all your windows and doors are closed and locked before you leave, including double locking your front door. For those of you who do plan to go away we hope you have a wonderful break. And for those of you who plan to stay in London – enjoy your summer! After decades of being outshone by its attractive neighbours, Fitzrovia and Mayfair, this year Marylebone has become the hottest district for buyers in Central London. According to research by Knight Frank, although property prices across the most expensive areas in London have dropped by an average of 6.4% over the past year, they have held their own in Marylebone, rising 0.7%. Once known as a quiet choice for ageing professionals, Marylebone’s increasing appeal has been put down in part of the “Chiltern Firehouse” effect, which has drawn celebrities such as Ellie Goulding, Kylie Minogue and Madonna to the area. “Chiltern Street and Marylebone Road have a good mix of independent retailers and restaurants have emerged into the area which makes it immediately more worthy of attracting footfall, recognition and demand”, said Liam Bailey, global head research at Knight Frank. Looking for a place to rent in Marylebone? Look no further, at City Living London, we have two one-bedroom flats available, one immediately and the second in early June 2017. Located on Gloucester Place and neutrally decorated throughout, both flats are within easy reach of a superb range of shops, bars and restaurants and are just a few minutes’ walk from Baker Street Underground. If you wish to view either apartment, call us now on 0207 351 6100! 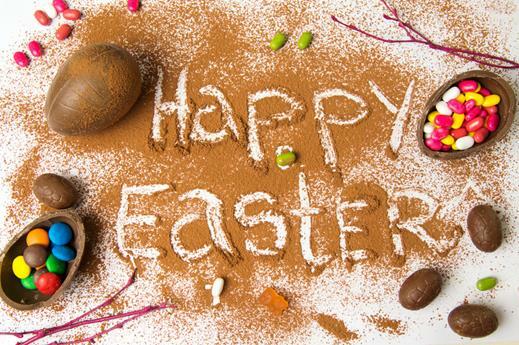 Easter is approaching and we know that planning how to spend your long weekend can be tricky. The excuse to gorge on chocolate is not the only reason for excitement, there are also many events happening around London. Easter Sunday falls on 16th April 2017 however there is plenty of impressive stuff happening on Good Friday (14th April) and all throughout the weekend in London! There will be an open air event taking place in Trafalgar Square on Good Friday providing an atmospheric backdrop for ‘The Passion of Jesus’ – the story of his last days on earth. There will be two shows on the day with up to 10,000 people expected to attend each show. The play will be shown on big screens and is absolutely free to watch. If you are looking to spend the Easter weekend with family, why not visit the Adventures in Moominland at the Southbank Centre, which takes you on a journey to discover the world of Tove Jansson’s iconic characters. This very popular exhibition forms part of the year-long Nordic Matters Festival where you can explore all things Scandinavian in the Centre after the tour. Tickets are priced from £12, open Friday to Monday. If you’re around Greenwich, keep an eye out for some unusual boats on the river as the Tall Ship Festival is back. For a small cost, some of the larger ships can be visited. The event will be taking place between the 14th and the 17th of April. 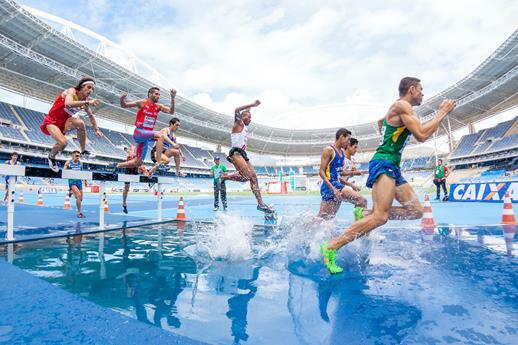 Those celebrating Easter in the east should head to Stratford East Village by the Olympic Park on Saturday 15th April, where a family-friendly Alice in Wonderland themed egg hunt around the former Athletes Village will take place. Lastly, if all you want this weekend is to party, why not join the Easter Carnival at the Magic Roundabout. Here you will find DJs, dancers, contortionists, mimes, magicians and sketch artists doing their thing right above Old Street station. So whether you want to go egg hunting, hit one of the bank holiday parties or indulge in a complete chocolate overload, we’ve got it covered! Of all the Chinese festivals, the Chinese New Year is the most detailed, colourful and important festival. It’s the year of the Rooster this Chinese New Year, which is happening on the 28th January 2017. 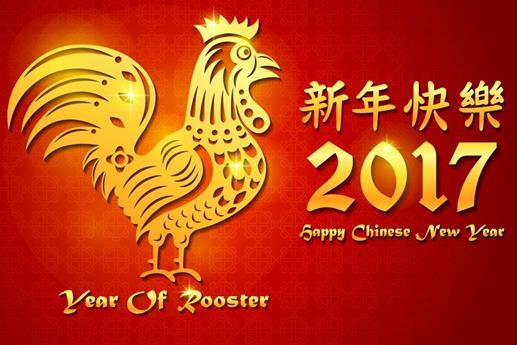 Roosters have lucky numbers 5, 7 and 8 and also have lucky colours gold, brown and yellow according to the Chinese Tradition. Chinese New Year’s Eve is the most important dinner for the Chinese, as it is a time when all the family reunite. Fish and dumplings are generally served as these two dishes signify prosperity. Around midnight, fireworks are set off as it is again tradition, to warn off bad spirits. As part of the tradition, married couples give money to their families and friends in red envelopes for good luck and fortune. The New Year is a time for one to make new resolutions, make amends from the previous year. Everyone wears new clothes and put on his/her best behaviour. It is considered disrespectful to tell a lie, raise one’s voice, use foul language, or damage anything on the first day of the year. From all the team at City Living London, we would like to wish you Xinnian Kuaile (Happy New Year). 2016 was a year full of surprises no one saw coming, and no one could forecast the next event. Certainly 2017 will be another intriguing and challenging year in terms of the economy, politics and property. 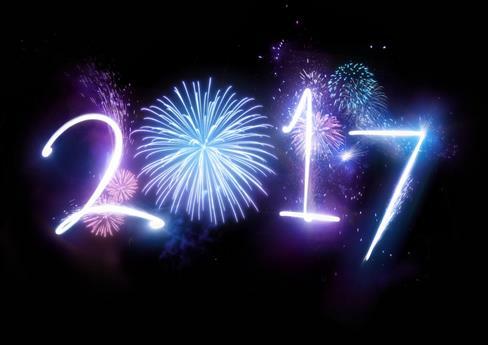 All of the team at City Living London wish you all the best for 2017! As the holidays are upon us, City Living London will be closed for Christmas from 5:30pm on the 23rd of December and will reopen at 9am on the 3rd of January 2017. • For plumbing and heating issues please call Danny Henderson on 07849632274 and clearly state that you are a City Living London tenant. • For electrical issues please call Veritas on 01666817874 and clearly state you are a City Living London tenant. • If you have been locked out please call our handyman Hadi on 07703180014, bearing in mind that this will incur a £125 incl VAT call out charge which is payable in cash on Hadi’s arrival. For the avoidance of doubt, an emergency is classified as a situation that poses an immediate risk to health, life, property or environment. Please be advised that if a call out is made for a situation not deemed a genuine emergency then any charge associated with the call out may be passed onto you. Please also note that if you are a tenant serving notice to vacate, it will not be deemed accepted unless you resend your notice to leases@citylivinglondon.co.uk and receipt is acknowledged by City Living London. Finally from all of the City Living London team, we wish you a wonderful Christmas and a Happy New Year! It is beginning to look a lot like Christmas – the trees are up, the dazzling Christmas lights and decorations are on and the streets are full of jolly jingles. Prepare yourself for some serious festive cheer; there are plenty of exciting events happening around London, many of which won’t break the bank. 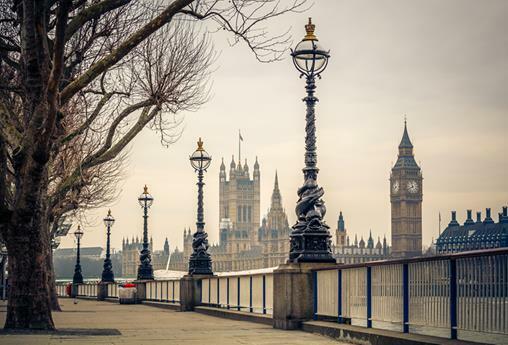 It may be cold but layer up and head outside to enjoy what London has to offer at this wonderful time of year. Winter Wonderland in Hyde Park is the ultimate Christmas extravaganza, guaranteed to get you in the festive mood. Along with a raft of special festive events, you’ll find foodie gifts, hand crafted presents, funfair rides and usually a bit of traditional mulled wine to help you get into that merry spirit! 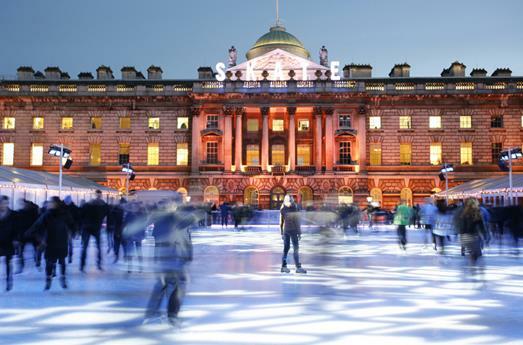 For those who love ice skating, ice rinks pop up at places like Hyde Park, Somerset House, Canary Wharf and the Natural History Museum, the latter of which is generally considered to be the prettiest. In Trafalgar Square you’ll find a huge Christmas tree, beautifully lit up from early December and donated to the people of Britain every year by the city of Oslo as a token of their gratitude for the British support given to Norway during the Second World War. Every weekday evening and weekend afternoon visitors are treated to free Christmas carols, making it a very festive place to be indeed. For those who need a bit of help with their Christmas shopping, quite apart from the world-famous Oxford and Regent Streets, there are lots of Christmas markets and festive fairs throughout the capital in December. The world famous Portobello Market has an extensive range of antique and rare vintage clothing stores, where you can pick up a unique present at a bargain price. Open daily, Saturday is the main market day with the antique, fruit and vegetable and flea markets all open. For more festive markets around London visit http://bit.ly/1yYFwrv. 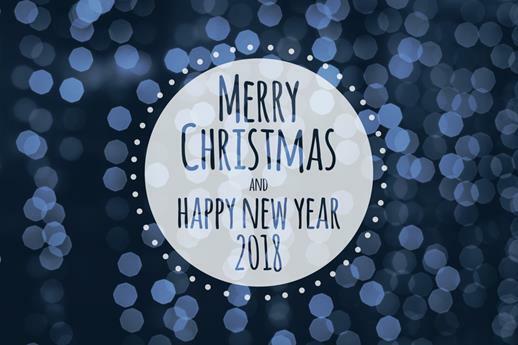 From all of the City Living London team we would like to wish you all a very merry Christmas and a Happy New Year and we look forward to seeing you all in 2017! The Citizens Advice Bureau has called for a ban on letting agent fees payable by tenants after receiving numerous complaints from tenants of unreasonable charges being levied. The organisation argues there should be one charge which should be paid by landlords as they are in a better position to shop around. They claim that young people aged between 17 to 24 and those in education are typically worst hit. Citizens Advice says there has been a 14% rise in problems with letting agents reported since two years ago. The majority of the cases were among 17 to 24-year olds, who in all requested help with 810 issues with letting agents over the last 12 months, in comparison to 360 problems reported between July 2013 and June 2014. This is very likely linked to the fact that fees have rocketed over the years. City Living London is not only an ARLA regulated agent, our average tenant fee for setting up a new tenancy is lower than the London average, and our renewal fee is a very competitive £60.00. In addition, we offer repeat tenants a 50% reduction on these fees. Our focus is on both local and international students, in addition to young professionals, and we work to keep our fees to a minimum and our management service to a high standard. Pimlico and Victoria, situated in the Westminster City Council borough, are in the heart of Central London, with Victoria known to be one of London’s busiest transport hubs. The district is generally delineated to the north by the train and international coach stations on Buckingham Palace Road and runs south and east from here to the River Thames. Consisting predominantly of commercial property and social housing, with offices and shops, including a major shopping complex at Cardinal Place, lining most of the thoroughfares, it is fast becoming one of the most desirable areas of London to live and invest. The opportunity to buy or rent private residential homes in the area has increased by virtue of the many new residential developments, which have helped to make this a more attractive area to live. The Victoria Street project plans to rid the high street of drab office blocks and bring in homes, soft landscaping, open courtyards, squares and passageways. By 2019, up to 800 new homes on long leases will have been built. 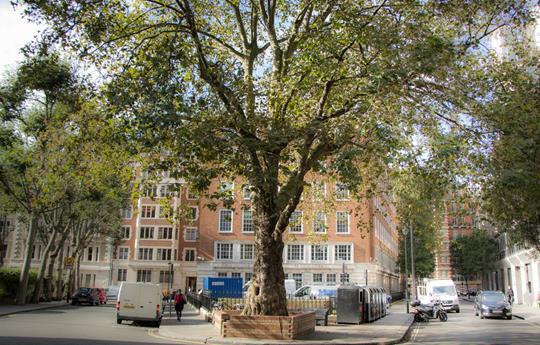 In Pimlico and Victoria you will find plenty of large green spaces along with various squares and small parks. Besides the green spaces the riverbank is filled with public spaces and seating, offering fantastic views across some of London’s most iconic scenery. Pimlico and Victoria further benefit from an array of services including shopping parades, local theatres and a vibrant restaurant culture. Victoria’s central location means you are within walking distance of many of London’s most famous tourist sites such as Buckingham Palace and Green Park. Victoria has many restaurants and bars, along with useful shopping on Victoria High Street and Victoria Station including Sainsbury’s, Marks & Spencer and House of Fraser. In addition to these major retailers, Pimlico has a number of unique boutiques, niche shops, a vintage clothes shop and a small daily market. A weekly Farmer’s Market takes place every Saturday between 9am – 1pm, offering a great opportunity for the local residents to pick up handy cooking tips and recipes. Further cafes, pubs and restaurants, including some of the best in London, can be found in nearby Belgravia and Knightsbridge. Current rental prices in Pimlico and Victoria average up to £621 per week for flats and £723 per week for houses. In terms of sales, average prices in Pimlico and Victoria are now 66% higher than they were 5 years ago, with buyers paying £503 more per square foot in comparison to 2011. What is on in London this Autumn? 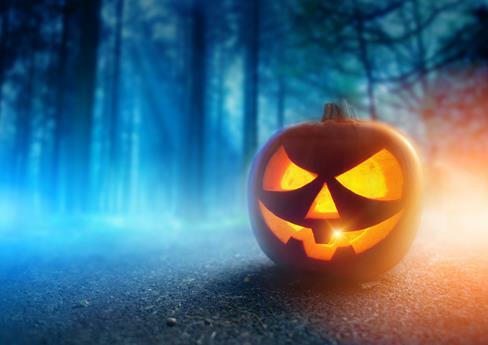 With the fright fest of Halloween creeping up on us, the capital is going to be crawling with a number of spooky events this month, from gruesome club nights, frightening tours, sinister West End performances and of course fabulous fancy dress to celebrate the scariest night of the year. Don’t forget to visit the annual Thorpe Park fright nights where live action horror mazes return alongside thrilling rides in the dark. Why not join in the free Diwali festivities in Trafalgar Square on 16th October and enjoy traditional and contemporary stage performances, lively music, delicious Indian food and many other activities. Diwali, the Hindu, Sikh and Jain festival of light, is enthusiastically celebrated all around the world to represent the victory of good over evil and light over darkness. Last but certainly not least, Guy Fawkes is also drawing near and you will find a range of firework displays throughout London to mark the occasion. It is a British tradition dating back to the Gunpowder Plot of 1605, when Catholic conspirator Guy Fawkes attempted to blow up the Houses of Parliament. Celebrated on 5th November every year, you can look forward to the Battersea firework display featuring bonfire night food and drink, family entertainment and funfairs. Apple has agreed a deal to create a spectacular new London headquarters at Battersea Power Station in a massive boost for the developers behind the £8 billion regeneration of the Grade II-listed building. Designed by Sir Giles Gilbert Scott, the power station is the largest brick building in Europe but has been abandoned since 1983 after it was decommissioned. Previously, there have been numerous attempts to redevelop it, one of which included turning it into a theme park, all of which have failed. It was saved in 2012 by a consortium of Malaysian shareholders, Sime Darby, SP Setia and the Employees Provident Fund, who are committed to redeveloping it as a 42 acre site of offices, shops, restaurants and luxury homes. As early as December 2016, hundreds of residents expect to move into the first completed apartment block, known as Circus West. 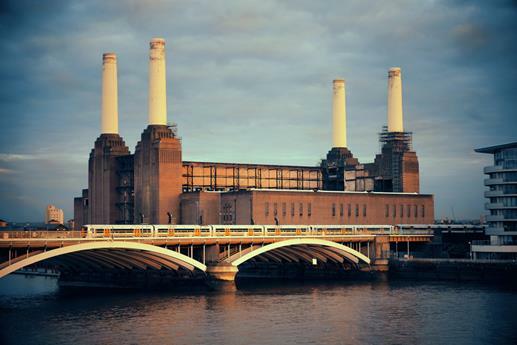 Stars including Sting and adventurer Bear Grylls are known to have purchased properties at Battersea Power Station. A new Zone 1 Northern Line Tube station is under construction and is expected to be completed in 2020. The London Mayor, Sadiq Khan, said “I’m delighted Apple is moving into Battersea Power Station, helping to generate new jobs and economic prosperity for London.” Apple will account for 40% of the office space in the power station. The deal is the largest commercial letting in the West End of London and its surrounds for 20 years. Apple’s main European headquarters will remain in Cork, but the Battersea site will be one of its biggest offices outside the US. The agreement follows Facebook and Google likewise signing up for developments in London. Facebook will be occupying offices off Oxford Street, while Google is building a campus in King’s Cross. The move is an exciting and high profile success for the new Nine Elms development in Battersea, which will also soon be home to the American Embassy. According to research by Countrywide, rents in London have fallen annually for the first time in nearly six years. With average monthly rents at an eye-watering £1280, this adjustment has resulted prices for new lets dropping by an average of £7 per month, in comparison to the same time a year ago. The last time rents fell in the capital was in November 2010, when the average monthly rent in London was a comparatively cheap £923 per month. 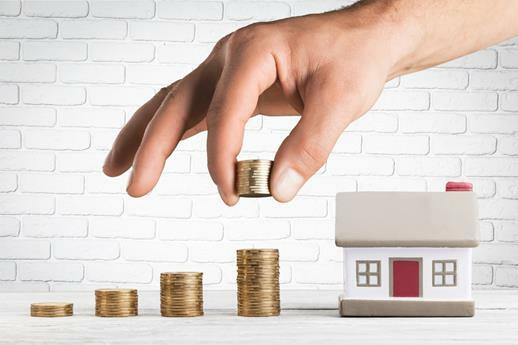 The housing market earlier this year saw a number of landlords rushing to push through their purchases as a result of the 3% stamp duty hike levied on buy-to-let properties, which came into force on April 1st. The majority of these properties are likely now on the rental market, which improves the choice for tenants and should result in further depression of London rents, particularly in Prime areas where transactions are comparatively low. Last year in July in the whole of the UK, 16% of tenants paid over the asking rent to secure a tenancy on a home compared to 7% in July 2016. The falling rental figures were much more significant in London in comparison, with only 11% of homes letting for more than the asking price in July 2016, a drop from 32% in July 2015. At City Living London we have always sought to price our properties competitively with a view to finding long term, happy tenants. Our average monthly rental is below the London average, at £1147.50, and our tenant fees are similarly competitive at £270.00. If you move again through us, these fees are discounted by 50%, meaning our fees for return tenants are some of the most affordable in London. Although rental price growth has slowed, current market dynamics are likely to accelerate the growth of renting, suggests Countrywide. With more stock and higher levels of demand, the increasing number of rented households looks set to continue to increase in 2016. According to a new study, the Right to Rent scheme is causing landlords significant stress and worry, especially in areas of the UK with a high number of immigrants. 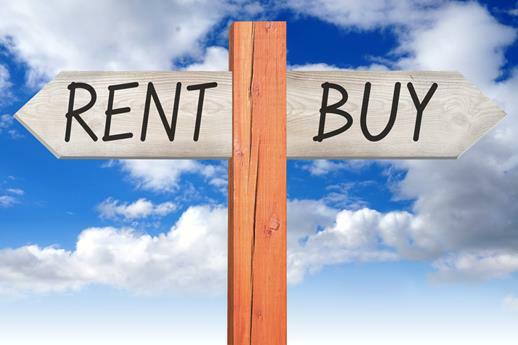 A recent survey of 500 landlords found that Right to Rent is one of the top three causes of stress for over a third of buy-to-let landlords, ahead of dealing with bad tenants, tax and inland revenue, void periods, securing finance and dealing with tenant complaints. Only rent arrears and necessary repairs to their property were rated more stressful than the new Section 22 of the Immigration Act 2014. Landlords are suffering the most in areas such as London and the South East, the West Midlands, the East of England and the North West where the immigration levels are highest. Research by the Residential Landlords Association (RLA) found that when Right to Rent came into force, a shocking 90% of landlords in England and Wales had not received any information from the government on their legal duties under the new set of laws. The research also found that 72% of the landlords did not understand their obligations and 44% will only rent to tenants who have documents that the landlord is familiar with. As of the 1st of February 2016, landlords or their managing agent are legally obliged to ensure their tenants have the right to stay in the UK. Those who do not risk being reported to the authorities and could face a fine of up to £3,000. 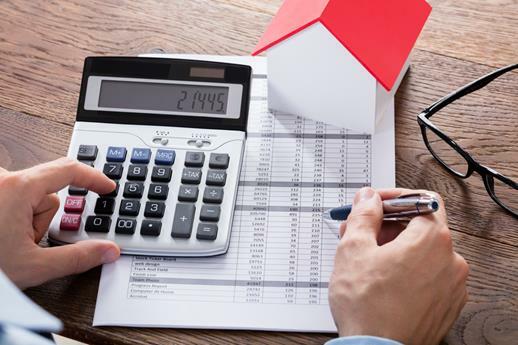 Landlords are also worried that they are paying over the odds for the additional reference checks which are required to ensure that they are compliant with the new legislation. At City Living London, we will ensure that we complete the Right to Rent check for the initial term on any tenants for whom it is necessary. Our Right to Rent checks are carried out as part of our normal referencing process and do not involve additional costs to our clients or tenants. In addition, if a landlord takes up our Management service, we will ensure that you remain compliant throughout the course of the tenancy. If you are interested in letting out your property and would like any advice or information about this recent legislation, please contact our Lettings Manager, Laurelin Taylor, on 020 7351 6100. Brexit - What's next for the UK housing market? The recent announcement that the United Kingdom is to leave the EU has resulted in widespread announcements regarding the possible effects it may have on the UK housing market. It’s early days, but does Brexit mean that house price growth is over, and the supply of new homes will be reduced making it harder for buyers to get on to the property ladder? Some have suggested that British property prices will drop by up to 18% in the coming 12 to 18 months which in return would raise the cost of mortgages and therefore lower demand for property. History shows that property prices dropped nationally by 18.7% between the peak of 2007 and bottom of the market in 2009. Having said this, London’s housing market is famously resilient and the possibility of the Bank of England dropping interest rates to 0.25% or even 0% over the summer of 2016 will go some way towards buoying up a teetering economy, as will George Osbourne’s latest announcement that corporation tax is likely to be cut to an all-time low of 15%. Brexit could be considered a positive move for first time buyers, who may subsequently benefit from lower house prices. Both buyers and sellers will be carefully watching market activity and the effects upon it of the Brexit vote. 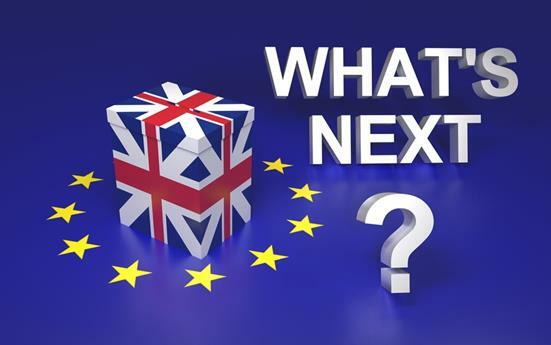 Uncertainty will continue until David Cameron’s replacement has been appointed, until Article 50 is invoked or even longer, whilst the UK negotiates the terms of its exit from Europe. Mark Hayward, managing director of the National Association of Estate Agents, and David Cox, Managing Director of the Association of Residential Lettings Agents, made a joint statement that both prices and rents will remain stable in the short term, but that no one can be certain about the next quarter’s performance, as political instability and market unrest could lead through into prices. Consumer confidence is unsettled and it’s likely to be some time before there is greater clarity around the long term effects. South Kensington, situated in the Royal Borough of Kensington and Chelsea, is one of the world’s greatest concentrations of internationally renowned cultural destinations. With monumentally grand houses and architecturally stunning Victorian buildings, South Kensington’s wide range of architecture contributes to its perennial popularity. After the Great Exhibition of 1851, huge stucco-fronted Victorian mansions were built throughout the area, providing homes to many wealthy Londoners. Most of them have now been converted into flats. Besides the Victoria style buildings, you will also find handsome purpose built red-brick mansion blocks. The area is rich with green spaces, with Kensington Palace perhaps one of the most famous attractions, leading to the southern edges of Kensington Gardens and Hyde Park. In Hyde Park you will also find the world famous Serpentine Lake and Gallery, and it is also well known for its annual events, from summer concerts to the yearly Winter Wonderland. Other than the Royal Parks, South Kensington also offers plenty of beautiful garden squares. South Kensington offers the best in sophisticated shopping, restaurants and night clubs, well tended gardens, museums and transport. There are many designer shops, large and small, along Sloane Avenue and the Fulham Road which rival some of the very best retail stores on the nearby Kings Road in Chelsea. The area boasts a sophisticated ambience with a remarkable selection of places to eat, drink and socialise. In South Kensington, you will find that the vibrant area offers a variety of eateries to fit everyone’s taste, from cafes and pubs to delicatessens and ice cream parlours. South Kensington has an abundance of cultural attractions, including some of the world’s most prestigious museums to enjoy; these include The Victoria & Albert, The Science Museum and the Natural History Museum. 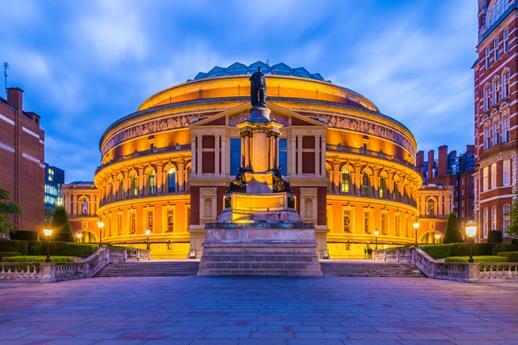 Along Exhibition Road, you will also find The Royal Albert Hall, all within walking distance of each other. South Kensington is in Zone 1 on London transport and has excellent public transport links, which makes it an easy and affordable means of travelling around the area. Current achieved rental prices in South Kensington per square foot fell by 7.7% over the last 12 months compared to the previous year. 12% fewer properties were sold in the last 12 months in comparison to the previous 12 months. Besides this slight drop, average prices in South Kensington are now 43% higher than they were 5 years ago. The number of sale properties on the market has risen by 15% compared to last year, with 36% of the properties having been on the market for more than six months. Rental values in the area have fallen by 10% compared to the same period last year averaging £1757 per week for houses and £1048 per week for flats, with 38% of properties reflecting asking prices of more than £1000 per week. What's on in London this Summer? A recent investigation has found that the Help to Buy scheme is not in fact helping everyone, with many UK homes priced out of the scheme, particularly in London, according to BBC. The scheme was set up last year to help young people onto the property ladder, with the government saying that the cap ensures that the scheme is intended for first time buyers. 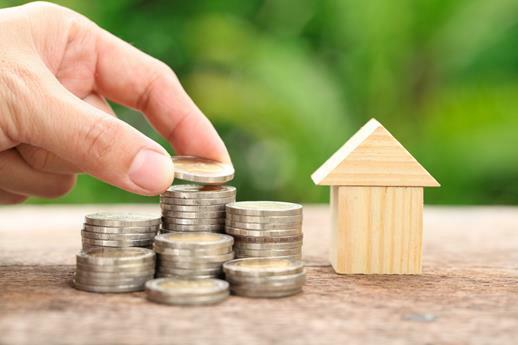 It was introduced to allow first time buyers to put their deposit into a tax-free savings account and get a 25% bonus, up to a maximum of £3,000 when they buy their home. The price of a house under the scheme cannot exceed £450,000 in London, or £250,000 everywhere else in England. However, the Help to Buy ISA only gives savers a £3,000 bonus on their deposit if the price of the house is below the cap. In addition, starter homes exceed the price cap in many areas across England. Shelter, the housing charity, has been quoted as saying that it only helped a few and the government needs to focus on building more homes. Average asking prices exceed the cap in 65% of the areas in London, 67% in the South East, 61% in the South and 53% in the East. In London, an average two bedroom flat exceeds the cap in two thirds of boroughs, while one bedroom flats exceed the cap in a third of boroughs. Only 10% of three bedroom homes in London fall below the cap. Outside of London, a two bedroom starter home exceeded the cap in 28% of the UK. Therefore, in terms of monthly outgoings and despite the average Londoner outlaying nearly 30% of their monthly income on rent, renting is often still a less expensive option than the Help to Buy scheme. In London and the South East especially, where the property prices are highest, renting tends to be cheaper than the monthly mortgage payments. 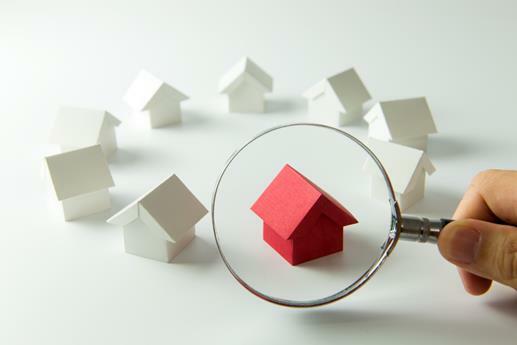 If you are about to start searching for a home in London, please contact us on 020 7351 6100 and we would be delighted to show you any listings which may suit your requirements. In addition to the negative connotations associated with the number 13 in Western cultures, in other cultures specific numbers can play a significant role in how people price their homes, which properties they will or will not purchase and even how the floors of a high-rise building are numbered by developers and builders. Even though research shows most people don’t believe the number 13 is unlucky, many developers of high rise buildings in the UK still tend to skip the 13th floor entirely. The floors instead jump from the 12th to the 14th. Real estate luck, in some cultures, is often accredited to the last nonzero digit in a sales price. For example, the number 8 in the Chinese culture is considered lucky because it’s pronounced similarly to the Chinese word for wealth and prosperity. In heavily Chinese neighbourhoods, it is common to find properties priced at, for example, £268,000 - or even £888,888 in more expensive neighbourhoods. On the other hand, the number 4 in Chinese culture is considered unlucky because it is pronounced similarly to the Chinese word for death. Therefore, according to superstition in this part of the world, it is best to stick an 8 in your sales price and forgot the 4 if you want good luck. The number 4 also sounds like the word ‘death’ in Japanese, whilst the number 9 is pronounced similarly to the Japanese word for ‘torture’. There are as a result many hospitals that eliminate the numbers 4 and 9 as room numbers, and in some cases even the floor numbers, whilst some Japanese airlines have no seat rows with the numbers 4 and 9. However, the number 8, in contract to in China, is considered lucky. This is due to the shape of the kanji character for 8, which suggests a better time or better things to come in the future. Italians are superstitious about the number 17 for at least two reasons, both having to do with how it is written. The number 17 written using Roman numerals is XVII, which can be rearranged to spell the Latin word VIXI. This means “I have lived” or more pointedly “my life is over” – a phrase found on ancient tombstones. What’s more, in modern European handwriting, the number 17 resembles a man hanging from a gallows, and it is therefore considered unlucky for this reason too. 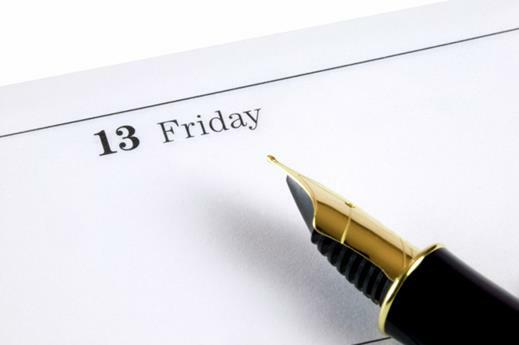 Having said this, depending on superstitions is unlikely to help you to get lucky in real estate. If you’re looking to buy or rent a property, you should focus on finding the right home for you at the right time. 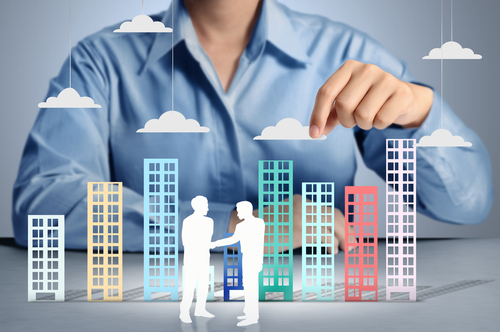 Pick a professional, regulated agent, make sure they know your requirements and work closely with them - they will ensure your interests are protected and that you are provided with fair and accurate market advice. If you are renting out or selling your property, ensure that it is well presented, priced correctly for market conditions and be willing to be flexible regarding viewings. These approaches are far more likely to ensure success than superstitions governing lucky or unlucky numbers! Grosvenor Waterside is built around a dock which was originally a waterway (The Grosvenor Canal) stretching from the Thames to Victoria Station. This waterway, which opened in 1823, provided the Chelsea Waterworks Company with its water supply. It was the last functioning canal to close in London, being used as late as the 1990’s for commercial purposes. The development of the new Victoria rail route in the mid 19th century lead to most of the canal being built over, and by June 1860 the first railway bridge was built over the Thames, providing access to the area which had previously been made up of the canal. It was further reduced by the addition of Victoria platforms 15 to 19. In the year 2000, Westminster Council granted planning permission to redevelop the disused Grosvenor Canal and the Grosvenor Waterside development was born. The development was intended to be seen as a new cultural hub of Chelsea, combining history, art and urban architecture. The development is centred around a beautiful, tranquil water feature and the 24 hour concierge, underground parking and its close proximity to the Thames have resulted in Grosvenor Waterside becoming a popular, desirable development for purchasers and renters alike. The transport links of Victoria are almost on your doorstep, the shops and restaurants of Chelsea and Belgravia are both within a few minutes’ walk and the wonderful views of the Thames from the Chelsea Embankment are a short stroll away. City Living London is offering a very smart one bedroom apartment in this fantastic development to the market priced at £450 per week. Stylishly furnished and with a lovely Juliet balcony in the living room, it is an ideal pied-à-terre or London pad for a young professional. The bathroom and kitchen are both in excellent order and there is an onsite gym and health spa located on the ground floor of the building in which the flat is situated. The property is available immediately for a long term tenancy. For further information or to schedule a viewing please call us on 020 7351 6100. 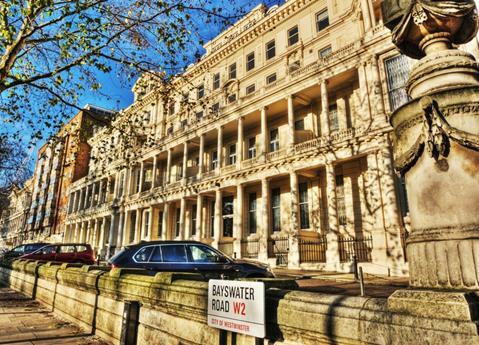 Bayswater and Notting Hill are some of London’s most architecturally traditional areas populated by culturally diverse residents, including Middle Eastern, American and Greek communities along with the stalwart Notting Hill set. The buildings are predominantly Georgian terraces, often with shared garden squares. Families and young people alike love that the area is rich in green spaces, with a vibrant restaurant community offering a fantastic selection of international dining as well as traditional English pubs. Try heading to the Cypriot Aphrodite Taverna or the popular local Greek restaurant, Halepi, a favourite of Richard Branson. Curry lovers can head down to Masala Zone on Bishops Bridge Road or Khans on Westbourne Grove. Hyde Park and Kensington Gardens, free to all, are in close proximity to both Bayswater and Notting Hill along with Kensington Gardens and Hyde Park. In Hyde Park you will also find the world famous Serpentine Lake and Gallery and it is well known for its annual events, from summer concerts to the yearly Winter Wonderland. Shopping in the area is dominated by the world-famous Portobello Market and Notting Hill’s surrounding boutiques and Whiteley’s Shopping Centre in Bayswater, London’s first department store, containing many high street brands, food outlets, an Odeon Cinema and its own All Star Lanes bowling alley. The area offers excellent transport links into both The City and The West End with the Central Line servicing Notting Hill Gate and Queensway and the District and Circle lines servicing Notting Hill Gate and Bayswater. Regular buses and super quick access to the M4 and M40 provide routes out of town towards Heathrow Airport, Oxford and the West of the UK. 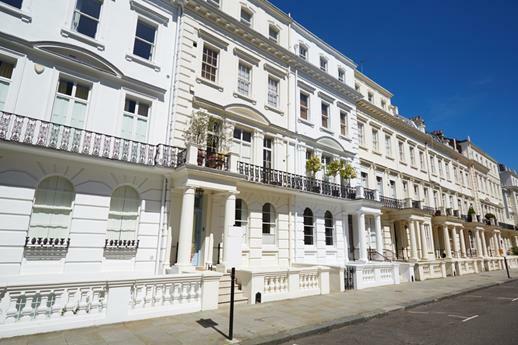 Current prices in Bayswater and Notting Hill rank as some of highest in the UK, with average prices per square foot increasing by 0.4% over the last 12 months compared to the previous year. Average prices in Bayswater/ Notting Hill and surrounding areas such as Kensington and Holland Park are now 34% higher than they were 5 years ago, while the number of properties on the market has risen by 17% compared to a year ago. Current rent values in the area have fallen slightly by 2% compared to the same period last year. In the first quarter of 2016 the rental values in Bayswater/Notting Hill averaged £721 per week for flats and £1649 per week for houses, with 74% of properties reflecting asking prices of less than £1000 per week. Lonres is an agent-only website which collates and analyzes data on the Central London property market based on the feedback and information provided by its subscribers. According to their most recent quarterly newsletter, the London’s lettings market has been quieter than expected over the last three months. In the first quarter of 2016, the number of the tenancies agreed in Prime Central London fell by 18% compared to same time last year, whilst the rest of London and its surrounding areas have also shown a decrease in new lets agreed. An increase in renewals is contributing to this decrease in the number of new tenancies agreed which is most likely down to the political uncertainty caused by the EU referendum, due in June, and the subsequent possible unravelling of the market following a Leave vote (please refer to our EU referendum blog)., Agents have seen a significant drop in the number of new applicants and viewings, particularly on the corporate relocation front whilst The City awaits the results of the referendum. Properties at the upper end of the lettings market have attracted fewer applicants and viewings. However, on a positive note properties under £750 per week have shown an increase in demand, with one and two bedroom properties having performed strongly. More generally, the lowered levels of activity reflect the amount of competing supply across the Prime London market, suggested by the level of investment buying activity seen in new build sectors and second homes. In the first two months of 2016, the number of mortgages completed for buy to let purchases was 26% higher than the same two months of 2015. The majority of the buying activity was concentrated in the market between £500k and £1m. This suggests better rental performance of these properties and higher income yield returns available. Going forward, the outlook for rental growth over 2016 remains unknown and restrained due to the uncertainty caused by the EU referendum. It is becoming difficult to predict how the market will progress over the rest of the year, however a recent survey by Lonres suggests that 29% of agents believe there will be a rise in achieved rents by the end of 2016, with only 3% expecting rents to increase 5% or more. UK – In or Out of EU? 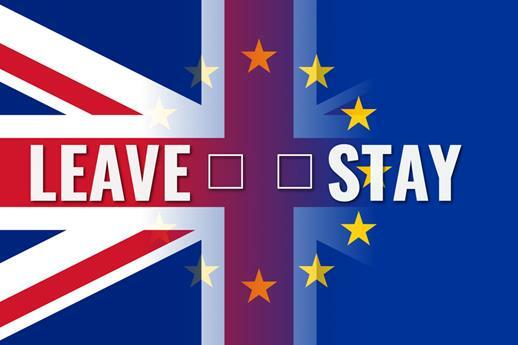 The government will be holding a referendum on UK membership of the European Union on 23rd June 2016. The effect that this will have on real estate in the UK and the rest of the EU is very much conjecture. However, it is highly unlikely that the outcome of the EU referendum would cause the UK housing market to freeze as a whole. In the first quarter of 2016, any uncertainty regarding the EU referendum has been off-set by pressure from those looking to beat the stamp duty deadline in April related to the 3% stamp duty surcharge on second homes and buy to let properties. The impact is proving to be more intense in the second quarter of 2016 as we approach judgment day. Remaining in the EU will likely result in a stabilisation of the market and we will see the usual influx of wealthy international students in August/September, along with an increase in international corporate tenants. If we leave, on the other hand, we are likely to see a significant period of market destabilisation whilst new international trade agreements are negotiated, with a time frame for tying up such new agreements being up to two years. Further long-lasting uncertainty in the in the UK economy is unlikely to be offset even by the possibility that of the pound becoming weaker and London investment therefore more appealing to overseas buyers. Regardless the outcome, once the uncertainty clears there will continue to be a market, although possibly more focused on required, as opposed to non-necessary, demand caused by such factors as divorce and the need to up- or downsize. What’s on in London this Spring? Recent reports have shown that the average Londoner spends 60 hours looking for a property every time they move. Trying to book an appointment and then rushing to meet the estate agent after work to view can be time consuming. Tenants can save time and effort when looking for a property by using the internet for virtual property viewings. We have recently come across an article in The Evening Standard advocating a ‘new service’ which is soon to be launched, where property hunters can pay for a trained property assistant to tour properties on their behalf and live stream a video to their phone, tablet or laptop. The service has been developed to take away the stress of viewing properties and costs up to £100 per tour. However, here at City Living London, we have been carrying out virtual property viewings for a number of years with the use of Skype and Facetime. Some of our potential tenants living overseas, looking to rent in London, prefer this method of viewing a property rather than having to fly into the UK to source their new London home. But how does it work? What are the costs? The answer is: there are no costs. All that is required is Skype or Facetime. Our experienced negotiators will show you the property and advise on the next steps if you wish to put in an offer. We have received offers through Skype and Facetime and can see this is becoming very popular method with many agents. We also do not believe it is something for which tenants should have to pay. In an expensive London property market, it is important to ensure that tenants’ fees are kept to a minimum. If you are living overseas and you are about to start searching for a home in London, contact us on 020 7351 6100 and we would be delighted to take you on a virtual tour of any listings which may suit! Stamp Duty Land Tax (SDLT) is a tax paid when purchasing a residential property (freehold, leasehold or shared ownership) over £125,000 in England, Northern Ireland and Wales. The tax is due to be paid in full within 30 days of completion of sale. Since December 2014, rates were payable only on the portion of a property price which falls within each band. For example, if you brought a property for £750,000 you would pay no stamp duty on the first £125,000, then 2% between £125,001 to £250,000 and 5% above £250,001. From April 2016, the existing stamp duty rates are increasing by 3% for people who are purchasing their second home or a buy-to-let or holiday home. This includes if you buying with a partner and only one of you owns a home. If you are buying a second home to replace your existing home, a surcharge will need to be paid without selling your home first. Nevertheless, a refund can be requested if you sell your first home within 3 years. The surcharge still applies if you are first time buyer in the UK but you are an owner of a property abroad. He was born in July, 1925 on the East End of London. He was the offspring of a poor working class family who had barely enough food to keep alive. Jack never let his adverse circumstances stop him from dreaming and fulfilling his vision to make a better life for himself. Turning13 Jack lost interest in school and quit; he had absolutely no prospects before him. Jack was undeterred so he took his 39pounds from the Navy and invested. He bought his first second hand automobile and started his business empire. He ran a taxi and he worked hard and long. His tenacity richly paid off. He became a multi-millionaire through his motor car dealings, garages, property, travel and investments. He never gave up on his dream and he made it big. His example is an inspiration because no matter what circumstances we are born into we can improve ourselves and turn our lives around. We can live very successful and productive lives like Jack. Jack has started many enterprises from businesses, foundations to partnership programs. Jack is 90 years old and going strong as he is still working. He has no plans to retire in the near future. He is going to marry his long-term sweetheart of 26 years. 66-year-old sculpture artist, Frances Segelman. Jack Petchey studied Andrew Carnegie’s course on positive thinking and it changed his life forever. He was so inspired by the course he has taught it to others. His life motto is: “Success is out there if you want it.” This has been his driving motive to reaching out helping all the young people he has. Jack has modelled this philosophy all his life and he has found plenty of success in all his ventures over the years. He has richly practiced what he has lived for years. You can do it if you try and you can’t let any setbacks stop you from achieving your dreams. Surely Jack didn’t let any obstacles stop him from reaching his king-sized dreams. Are you looking for excellent transport links to central London? Think you can’t afford it? Then think again because there are some great value rental opportunities that offer great city living, just a stone’s throw from the excitement of central London. Here are our top picks for great value places to live that London letting agents are talking about. OK, so Chelsea isn’t cheap, but when it comes to renting, it’s not as expensive as you might think. With its upmarket vibe, Chelsea is smart and sophisticated but relaxed enough to attract the younger crowd. With great shopping in Sloane Square and on the King’s Road, ample traditional pubs and high-end bars, Chelsea has it all. 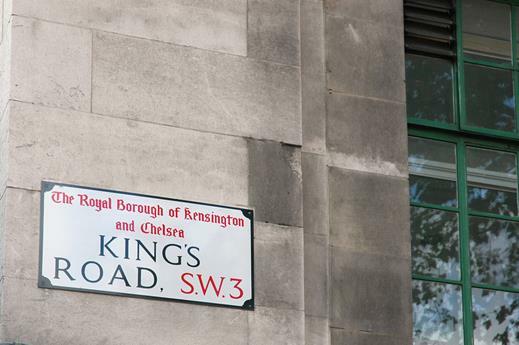 A short walk to South Kensington and Knightsbridge, Chelsea is supremely well connected and is just a few stops on the tube line from the epicentere of London. Beautiful Georgian and Victorian architecture lies either side of the King’s Road and up towards Fulham Road. Get in touch with local London letting agents and you’ll see there are plenty of long and short term rental opportunities, ranging from large townhouses to compact flats. Renting in Fulham offers easy access to the delights of South Kensington and Chelsea but with a lower price tag and a more homely, younger feel. With a great range of eateries and night spots, it is lively, bustling and a favourite for young professionals. It offers easy access to central London via tube and bus and is a favourite with young professionals looking for a touch of West London elegance without breaking the bank. Handsome Georgian terraces are the norm in Fulham, even if some have seen better days.Adjoining Parsons Green offers affordable options too. Contact your London lettings agent for more information. 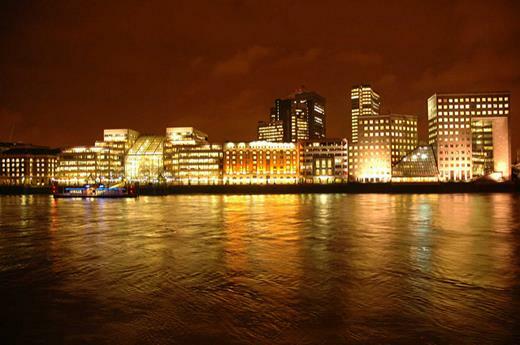 As London letting agents, we love an up and coming area and Vauxhall fits the bill perfectly. 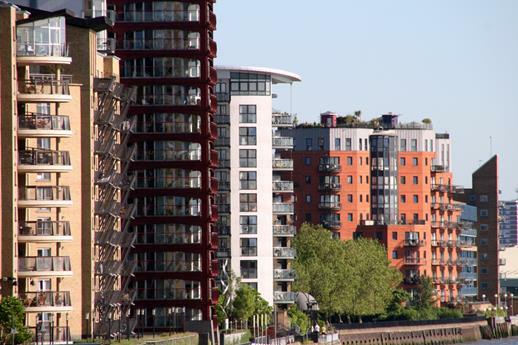 Vauxhall has superb transport links straight to the heart of central London. One of the places to be over the coming years, Vauxhall is seeing a resurgence as people look for affordable areas that are close to the heart of the city. New bars, clubs and restaurants are popping up and yet Vauxhall retains a slightly gritty edge, which has its attractions. Chic apartments and a stunning riverside location are amongst the delights of this latest London hotspot. 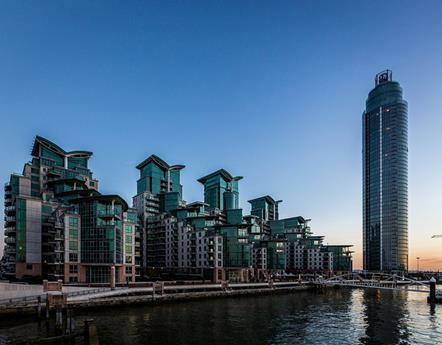 Vauxhall really is tuning into a beautiful area –just ask your London lettings agent about the Riverlight development as proof. It’s a sleek new apartment complex and indicative of what Vauxhall is becoming. London is a decidedly quirky property market, and the conditions in the capital are possibly the most unique in the world. The huge city has always drawn people from across the globe, putting pressure on housing stocks as the population grows. Letting agents have never been short of tenants, and house sellers rarely wait long for buyers. But there are other forces besides population expansion at work. In recent years the trend towards a high rate of savings in Asia and a shortage of high interest investment vehicles has meant London's property market, which is usually on an upwards trend, has been seen as an attractive investment for people and wealth funds around the world. Part of the effect of this trend is that money coming in from the top ultimately drives up the price of property at the lower value end of the ladder. It works like this: wealthy overseas investors looking to park up to £10 million in a safe property purchase will comfortably be able to pay £8 million for a property. This means that wealthy investors with a budget of up to £8 million are then priced out of such properties but they can then make higher offers on properties offered in the region of £7m. This effect continues down the ladder of value, affecting all properties in the market as a combination of housing shortfalls and wealthy buyers drive up prices at all levels. However, this effect could be slowing down: the strengthened pound means that property here is more expensive for investors from countries such as Malaysia and India, reducing the pool of overseas investors to some extent. The lack of available space in an already crowded city means that there are very few options for building new developments. And because the south-east area is highly developed, it's difficult to add new infrastructure such as new railway lines and roads that might open up new areas of land outside the capital for development. January is set to be the strongest month outside of the summer for lettings activity according to a new report from Marsh & Parsons. Click here for more information. How to enjoy a cheap and cheerful festive season! If you are spending Christmas and New Year away from your family do not worry there are plenty of exciting events happening around London, many that won't damage the budget. It may be cold but get outside and enjoy what this wonderful time of year has to offer. The world famous Portobello Markets are ideal for Christmas shopping. The market has a range of antiques and rare vintage clothing, where you can pick up a unique present at a bargain price. Open daily, with Satuday being the main market day with the antique, fruit and veg and flea market open. 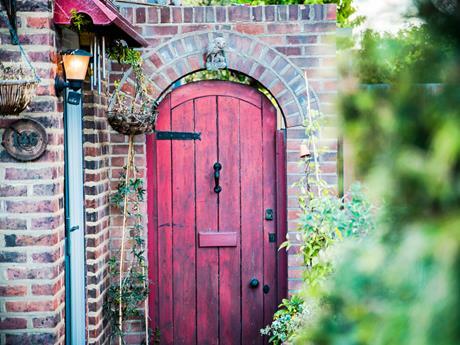 Chelsea Physic Garden has free entry for all until 14th December. The Book & Gift Shop will be selling specially themed Christmas cards and a multitude of gifts. The Café will be serving a special Christmas menu including hot breakfasts, lunches, mince pies and mulled wine. Finally roll in the New Year, by watching the famous fireworks light up the London sky. The best place to watch them is anywhere with a view of the London eye. Viewing is free, but plan to get there early! As always keep informed with events on our facebook & twitter pages, which are regularly updated to suit the area you live in. The Christmas season is finally here, and it is the time of year London transforms into a glittery wonderland, with dazzling decorations, glistening ice rinks and the streets full of jolly jingles. This December London is decked out in festive lights, the best displays are on Oxford Street, Sloane Square, Trafalgar Square, Covent Garden and Regent Street. These light displays definitely embrace the Christmas spirit and add sparkle across the capital. Hyde Parks Winter Wonderland is the ultimate Christmas extravaganza guaranteed to get you in the festive mood. Winter Wonderland has something for everyone from Christmas market stalls with handcrafted goods, to a beautiful ice rink, an impressive circus and a variety of Bavarian food and drink stalls where you can purchase a number of tasty treats. This is the Ultimate Christmas experience not worth missing and FREE to enter! If you want a cosier and intimate Christmas experience then check out the Ski Lodge at the Montague hotel and relax in front of the fire, sipping mulled wine and delving into a moreish cheese fondue. 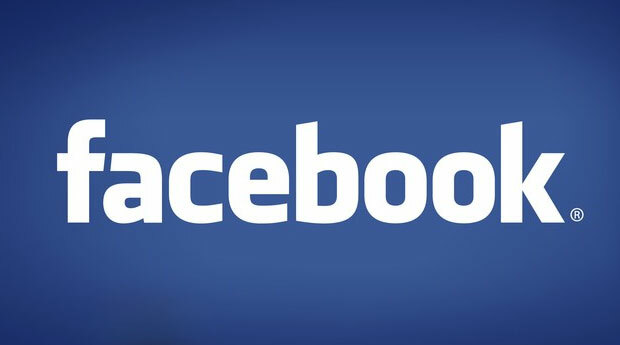 You can now view our listings on Facebook! Check out our facebook profile to start browsing our properties inside the largest social network. Get the opinions of your friends and other people on the properties, areas and schools you want to know about!